California Towhees are not a very colorful bird, but they are quite interesting to watch. They are very inquisitive and I remember when I lived in California there would be many times I would come out to my car to find the local checking himself out in the mirror. 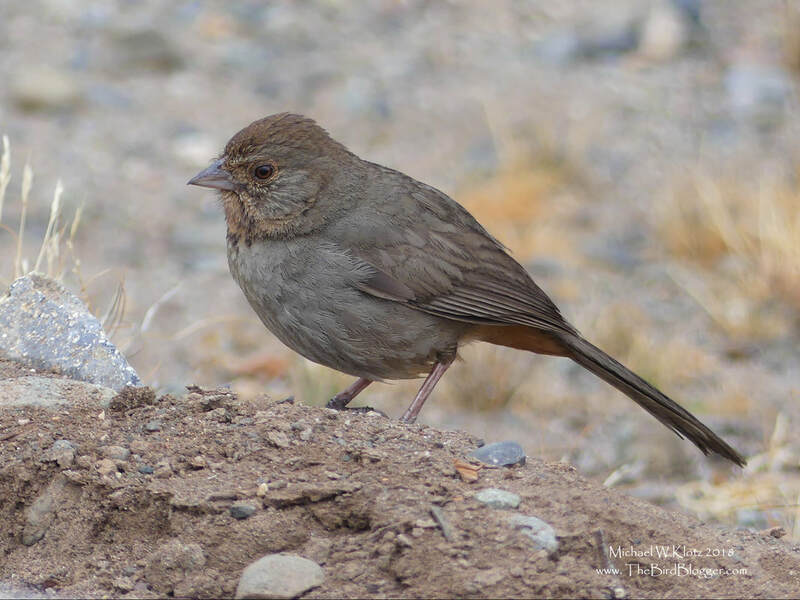 There are 8 species of towhee that are spread throughout North America, with two being endemic to Mexico and are found with in the sparrow family. I have found that they are usually found in pairs and low to the ground in dryer conditions. This bird was making its way around with a second in the dry river bed opposite the Silverado Community Center.